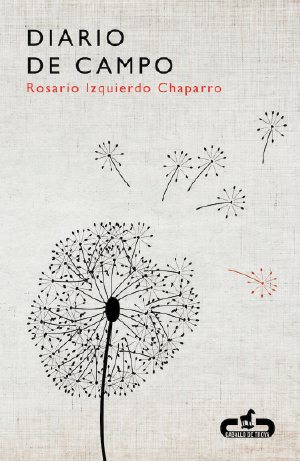 Working women are the protagonists of Diario de campo, the first novel by Rosario Izquierdo Chaparro (b. 1963). The author is a sociologist and researcher of issues such as social exclusion and women’s work. In this novel, the central character is a sociologist who studies the social networks of young women in a slum of the Spanish city of Seville. During the investigation, she gathers in her field diary excerpts of interviews and experiences with women in the neighborhood and her co-workers at the employment office. She adds her reflections and personal experiences to the issues raised during the investigation (for example, job insecurity and discrimination or how to reconcile family life and work). The diversity of views allows a multifaceted examination of the reality of working women. Furthermore, it allows female identification, raising the idea of a female community characterized by collaboration and solidarity. The novel begins with an interview of a woman who has worked cleaning other people’s houses since she was very young and now is studying to become a geriatric assistant; it closes with another interview with a labor counselor who explains the difficulties and successes in her work helping unemployed women and men. In between, the sociologist includes in her diary examples of how the circle of social exclusion is repeated: girls dropping out of school to work and help their families, youth who do not find steady jobs due to lack of education, and adults who earn a minimal wage because they work low-skilled jobs. Education serves as the key to break this chain: young people who attend workshops get a job and leave the neighborhood, and adults who train in new occupations successfully redirect their careers. However, the perspective of labor or gender presented in the novel is not unilateral. Quite the opposite: the novel includes the men who share their lives with these women. If the work includes different manifestations of sexist discrimination and violence, it also provides examples of the support that husbands, boyfriends, and sons offer their wives, girlfriends, and mothers to achieve autonomy and personal fulfillment. Men in the novel suffer unemployment, job insecurity, and gender expectations, just like women. Thus, class identification adds to gender identification. Along with presenting traits that unite individuals and groups, the novel highlights the impact that differences of resources and education have on the potential of each person to construct their life project. Although job insecurity and discrimination, long workdays, or reconciling work and family life are common problems for women in this novel, those working at the employment office are a favored group compared with women in the poor neighborhood, and these, in turn, are better off than women in the nearby slums. By showing these differences and their effects, the author provides a more complex and realistic perspective, moving away from stereotypes of marginal groups and from standardized depictions of social issues like unemployment or domestic violence. With a clear and direct style, Diario de campo describes the female working world as told by female laborers themselves. 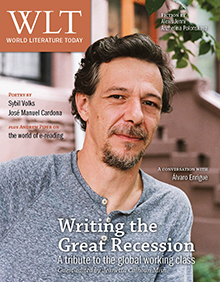 Rosario Izquierdo Chaparro offers a reflection on the value of work, its problems, and the peculiarities that the categories of class and gender bring to the world of work. Paola Capriolo. Gillian Ania & Doug Thompson, tr.